Keep your entire school community informed. 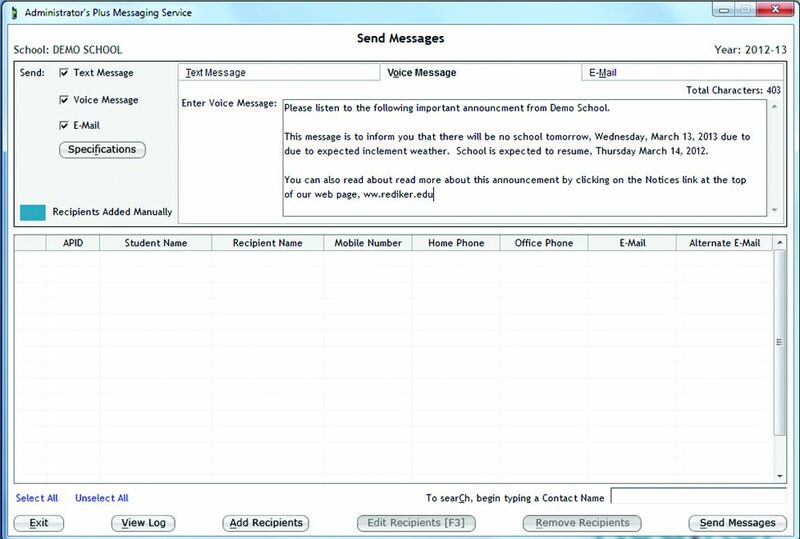 AdminPlus Notify gives you the ability to quickly notify thousands of contacts within your school community via email, text and voice message without having to import data or leave Administrator’s Plus. Schedule text, voice and email notifications to launch at a specific time. 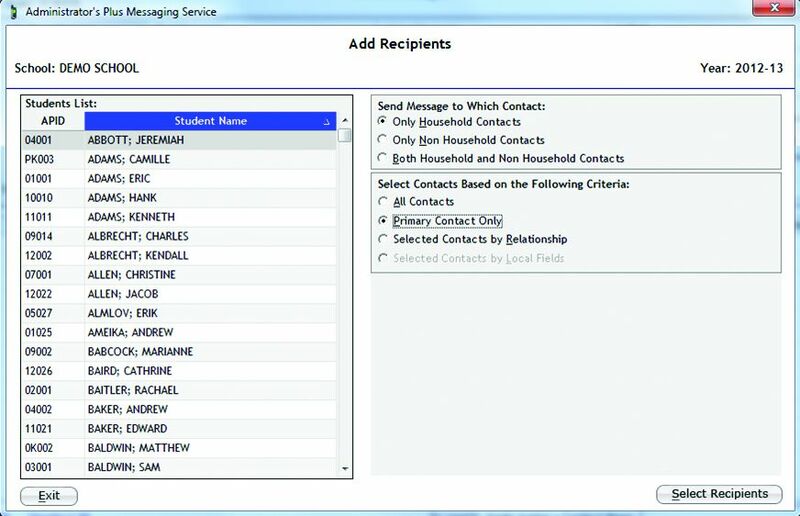 Select any combination of students, staff or contacts for recipients. Use familiar Administrator’s Plus selection criteria for adding recipients. AdminPlus Notify is embedded directly within Administrator’s Plus, so the notification source data is always up to date. Many other notification solutions require a nightly sync to an outside portal. Track your message launch. A detailed log audits success or failure for each recipient. Automatic format correction - The interface automatically ignores phone number formatting such as spaces, dashes, decimals, and parentheses when looking for 10 numeric digits. Ready to learn more about our school notification system? Fill in the fields below and a dedicated Rediker Software representative will get in contact with you. AP Notify is part of the AdminPlus Mobile App. Email, SMS and Voice Messages were sent via AP Notify in 2018.